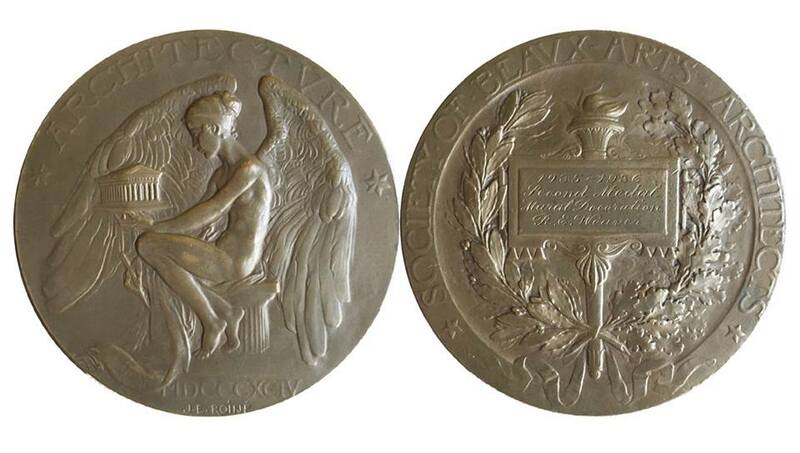 Robert Edward Weaver received two medals from the prestigious Society of Beaux Arts Architects for his design for a mural in a country house in 1935-1936. REW working on the Alameda Naval Air Station murals for the Commissioned Officers Mess. He is being assisted by Don Davies. 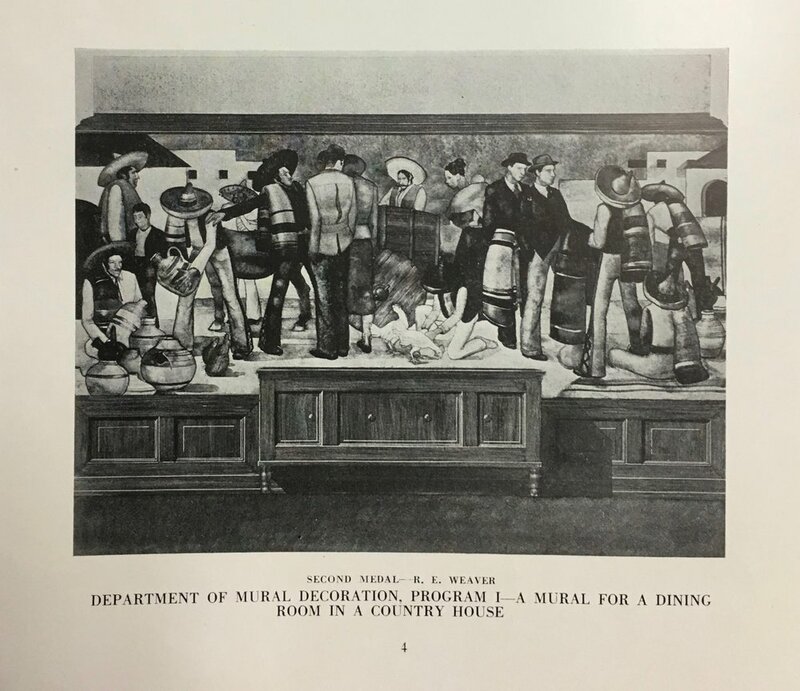 Murals for the U.S. Naval Air Station, Alemeda, CA. 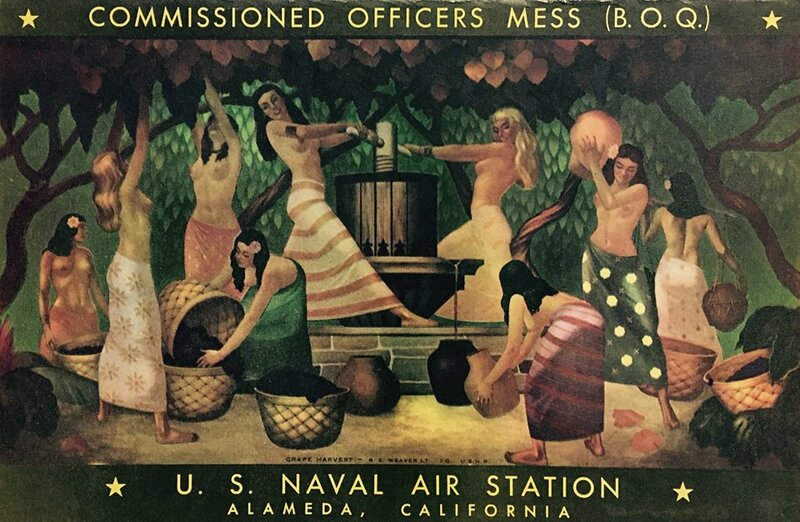 In 1943 REW was commissioned to create a series murals depicting the development of California for the air station's Officer's Mess. These images were taken at the air station 50 years after they were completed. 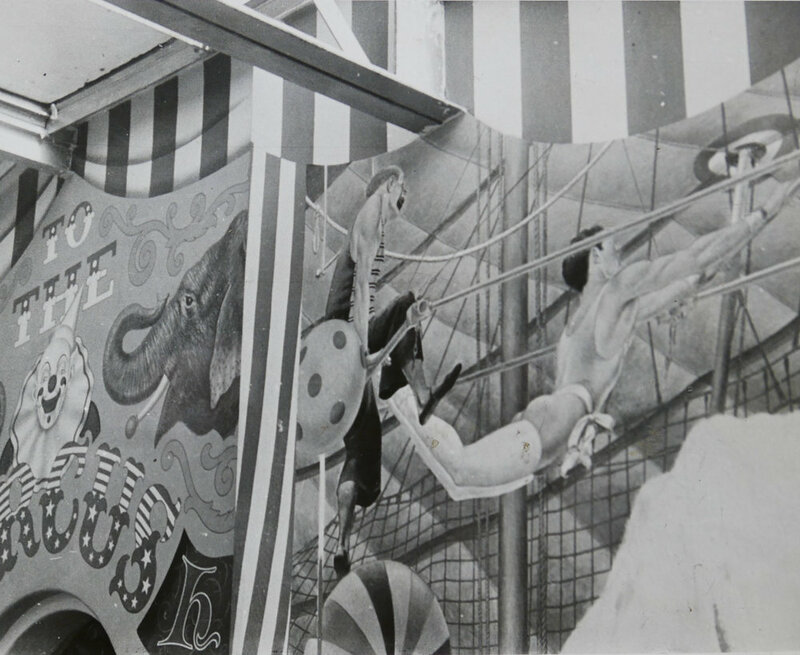 The murals show some paint loss but retain their historical significance. Since the air station's closing, it is not known if they still exist. Arrival of the Spanish missionaries. Modern day California depicting agriculture development and arrival of the aviation industries. 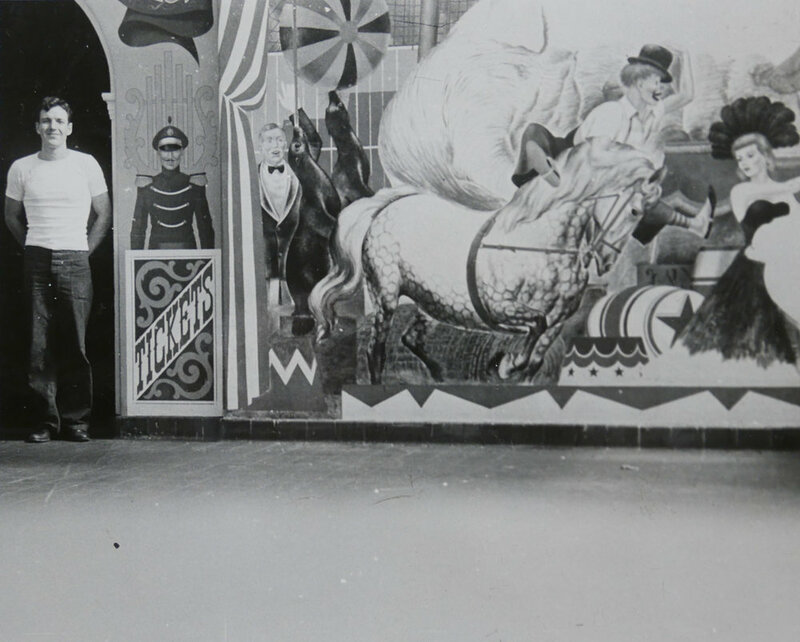 In an article published in the January 27, 1946 issue of he Indianapolis News, it was announced that REW had won a commission to create a large circus mural in the Thomas Taggart children's solarium of Indianapolis Methodist Hospital. 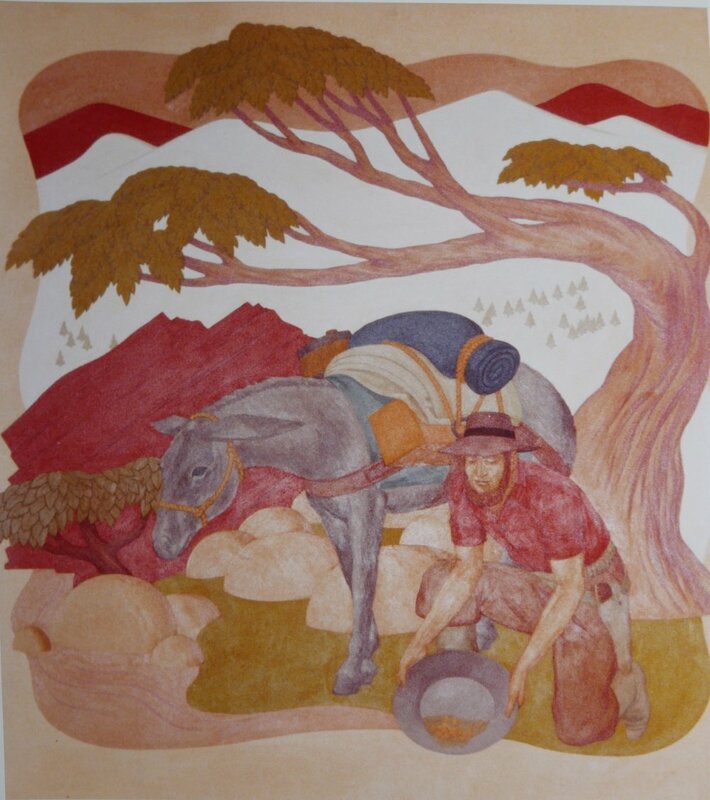 Detail image of the mural. REW working on the Methodist mural. Nurses and child patients visit the solarium for a look at REW's work in progress. 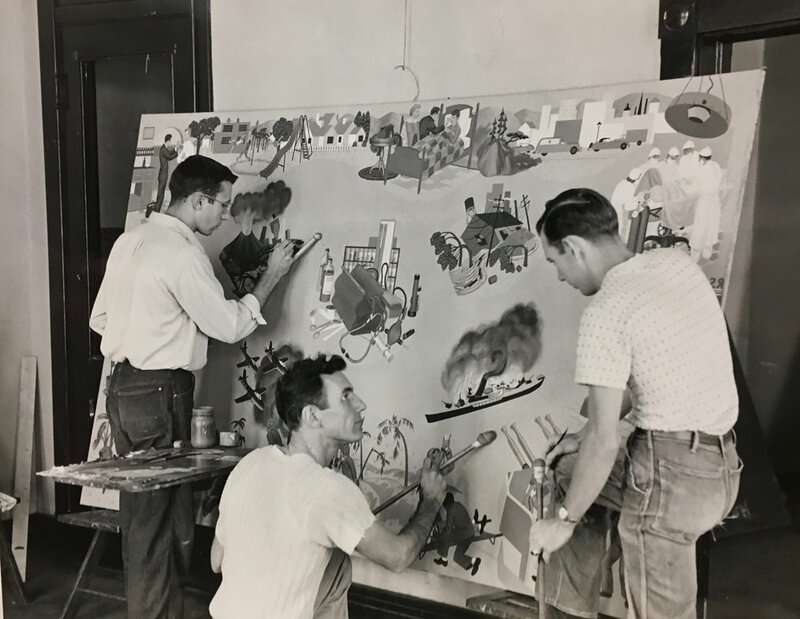 In 1950 Weaver was commissioned to create four murals for the newly remodeled offices of the president of Eli Lilly & Company, Mr. J. K. Lilly. The first mural pictured here represents the worldwide distribution of Lilly products. Lilly products and their application worldwide. REW with two of his students working on the Lilly murals.